With delightful Spring weather on its way, there is an abundance of exciting city escapes waiting for you to enjoy this month. From food and wine, to country animals and vintage cars, there is something for everyone. My monthly list will have ideas for things to do and places to go within an hour or two drive from Adelaide. To be held all over the Barossa Valley, this event brings you a variety of food and wine happenings. Some events have been sold out, but there is still a host of things to do. There are breakfasts, long lunches, music and tastings. The golf course at Lyndoch is having a special Father's Day events. The event offers a bus shuttle service to drive you around to all the locations. There is even a Link SA bus service from Adelaide and a special reward for designated drivers from the RAA if you register. See here for options to getting around. Tickets for the shuttle are cheaper in advance online. 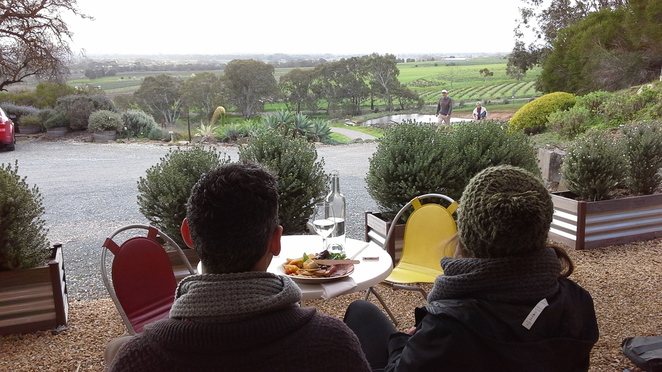 Enjoy the view at Bethany Winery who are holding an oyster food event for the Barossa Gourmet. Image by Out and About. Sunday 4th Father's Day at THE BIRDWOOD MILL MOTOR MUSEUM. One of the spell binding acts at Zirka Circus. Image by Out and About. 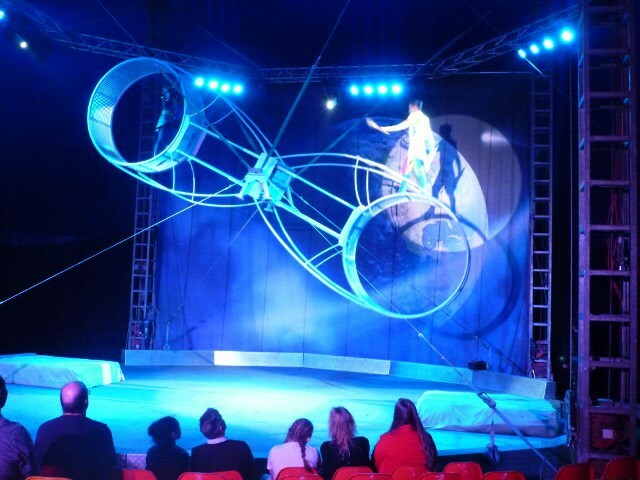 This animal-free circus is now doing the rounds of regional towns, so if you missed the show in Adelaide, you can catch them here. These talented people do amazing feats of body tricks. I have seen the show and I was very impressed and enjoyed it very much. Good for all ages, but perhaps best for children over 4 years. You need to sit still and quietly during the acts. See the website for show times here. There have been some discounted tickets on the deals and coupon sites online, so check these out. Take a mate to help you carry your swap meet finds. Image by Out and About. Gates open at 6.30 am for a beaut morning of searching for that elusive car part or catching up with a mate you have not seen in ages. Come early for the best bargains. 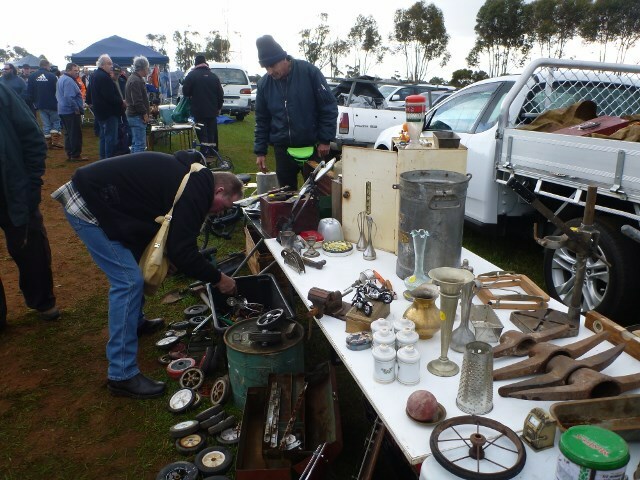 This swap is getting bigger every year and there is a good assortment of car parts, books and accessories, old wares and antiques, bikes and general stuff from the shed. Park all around the historic hillside area and walk as parking is limited. Or catch a train and alight at Gawler Oval stop which is mere metres from the gate. Click here for more details. id="ccblink" target="_blank" rel="nofollow">website for program, directions and costs. Pull those bobby socks out of the drawer and head south for a fun weekend. 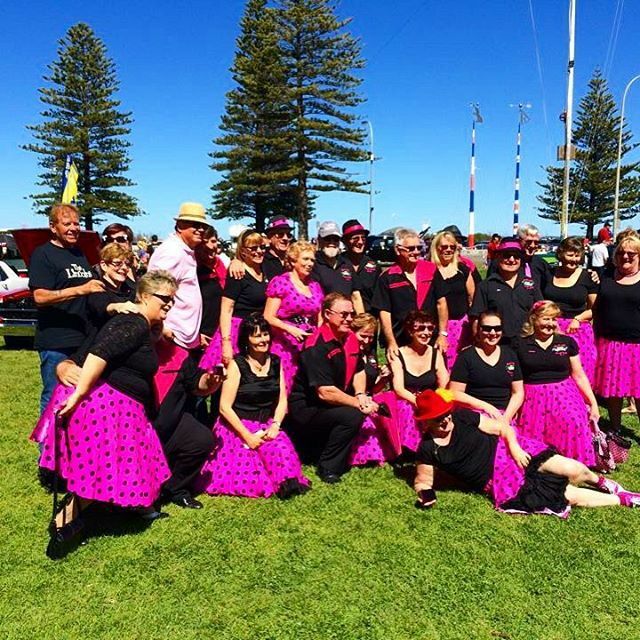 Last year, 10,000 lovers of all things 1950s turned up to have a blast with live music, three dance floors, market stalls, and over 500 vintage vehicles to view. Entry for the car event is free to owners with vehicles from the rock and roll era. Click here for details. One of the biggest and best vintage and classic car events in Australia. You can set up your picnic chair and picnic food anywhere along the route and watch the parade of cars as they make their way up the hills. This takes a few hours. Be sure to park and sit somewhere safe and off the road. When the cars arrive at Birdwood, you can head to the Birdwood Mill to view all the cars that participated in the run. Admission is $20 for the day, which includes a look at the extensive collection at the museum. Take your picnic afternoon tea and sit on the lush lawns while your family or friends meander around to check out the cars. 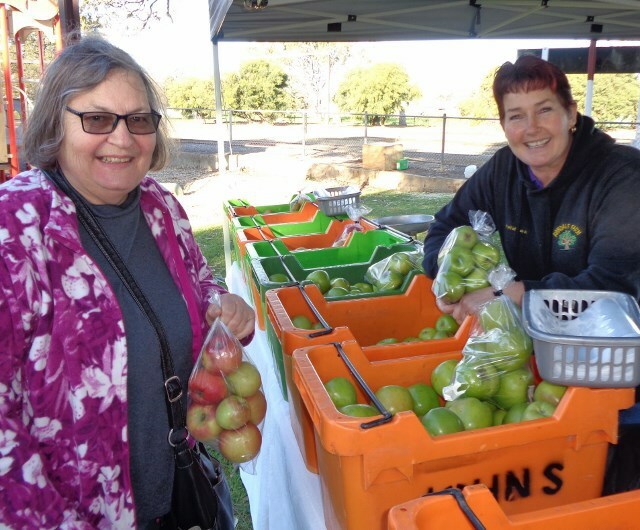 The fruit lady with a happy customer were snapped by Out and About at the Strathalbyn Market. 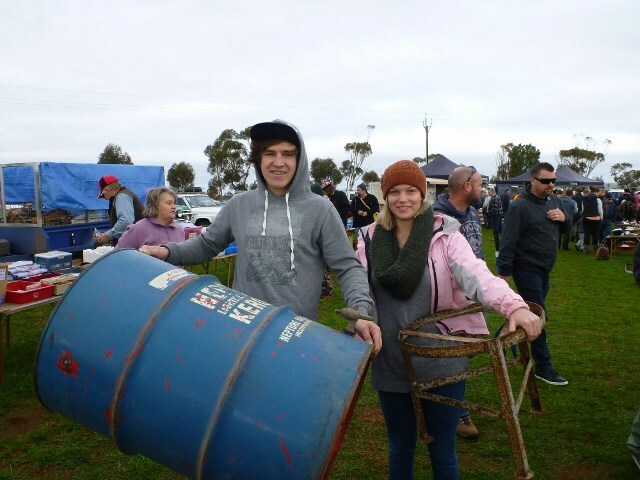 My Market of the Month- Strathalbyn. Held on the third Sunday of the month. This is a great little market with locally made goods, music, some alternative hippie clothing and gifts, good plant selections, and lots of little trinkets. There is a great fresh fruit and veggie stall also. Shop for pressies for Christmas coming very soon. The market is held at Lions Park on South Terrace. Take a stroll around the antique shops while you are there and it makes a great day out. Get out and about in September and enjoy some fresh air with these country events. More next month. Some great activities here. My husband and I will be coming to SA before the year is out and we'll look up the Birdwood Mill Motor Museum.